Your contribution to the 'No Child Left Behind' Campaign is now helping us build the dreams of the next generation of peace-builders. Thanks to you, we were able to raise enough funds to rehabilitate a 3-CLASSROOM SCHOOL BUILDING in Concepcion Central Elementary School, Brgy. Matarling, Lantawan, Basilan. The funds to rehabilitate the school were raised from online donors, individuals, families, and corporations. 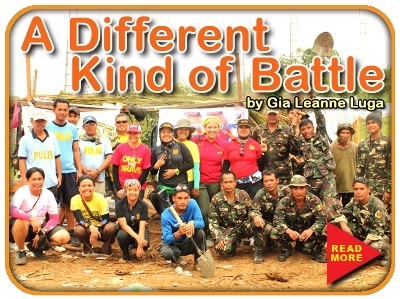 On ground, the rehabilitation is made possible through the bayanihan of volunteers from the local government, the Armed Forces of the Philippines, Gawad Kalinga, and the parents and teachers of the students themselves. The school rehabilitation began later than expected because of the Zamboanga conflict that happened in the latter part of 2013, but this only strengthens our team's resolve and commitment to rebuild this school building and give the children a better venue for learning by April 2014. 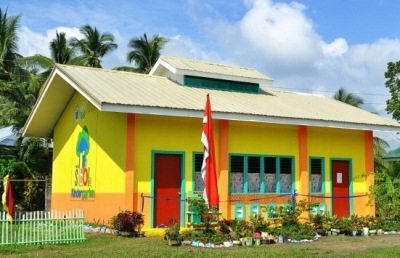 Concepcion Central Elementary School was the venue used during Bayani Challenge 2013: Isang Bayan, Isang Bayanihan. It's a few minutes away from the Build Site in Brgy. Pamucalin, where the new GK community will rise. The Bayani Challenge volunteers were billeted in the other classrooms, and the multipurpose hall was used for the program and other activities. Last February 2013, you helped us send love to over 1,600 children in typhoon-torn Cateel (Davao Oriental) through the Love Means Walang Iwanan campaign. Thanks to you, our sustained feeding program helped keep these children in school for 8 weeks, until the end of the previous school year. This coming June, children all over the Philippines will head back to school, excited to begin another year of learning. With your help, we can make sure that the children Basilan feel this excitement as well. 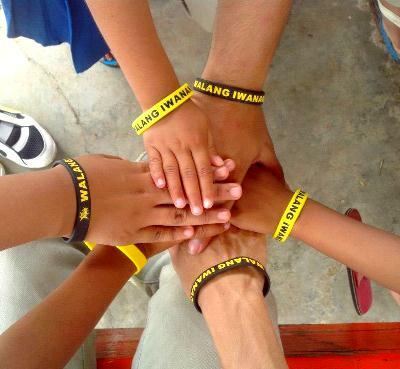 When Team GK visited Basilan for the Bayani Challenge and the Highway of Peace last March 2013, we saw how the consequences of past armed conflict prevent the children from fully enjoying their right to quality education. 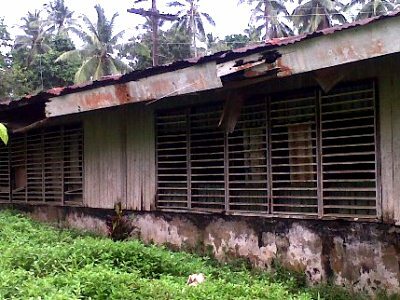 In the municipality of Lantawan for instance, a number of school buildings are in ruins and remain unused. But as we interacted with the children of Basilan, we also saw that their dreams are no different from the dreams of other Filipino children. They also yearn for a bright future and work hard to get an education, even if it means going to school in a dilapidated classroom or walking 3 hours to another public school in a neighboring barangay. 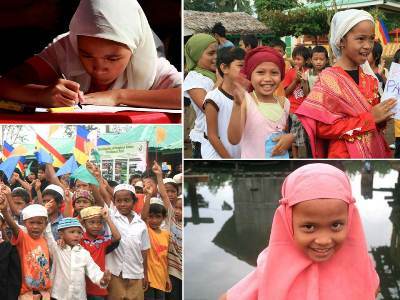 We invite you to join us in helping the children of Basilan build their dreams. You are welcome to sponsor as many children as you can, and by sending this email to your friends, you are sharing with them the opportunity to help bring quality education for the next generation of peace-builders. Together, we can make sure that in Basilan, no child is left behind. • Indicate that it's for "No Child Left Behind"
Deposits that are unconfirmed or unidentified for more than one month will be given to the ongoing campaign or to the community where it is needed the most. "Peace shouldn’t just be the burden of the Armed Forces. It’s not just the duty of my father, of Col. Galvez, and of all the other soldiers who were there. Peace shouldn’t just be the burden of the people in Basilan either. Peace is a burden all Filipinos should carry in their hearts. And until we get to that beautiful, poverty-free Philippines that each and every Filipino can be proud of, until we wake up to that peaceful Philippines where each and every Filipino is free to speak, to dream and where no one is left behind, we shouldn’t stop...Read more." 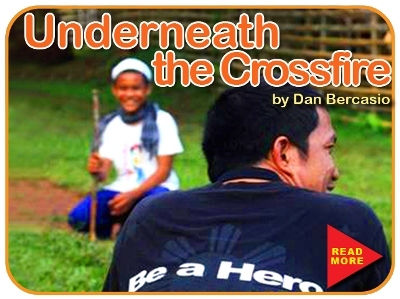 "The peace issues have attached a certain stigma to Basilan. After this trip however, I realized that should there be a peace issue that I need settled, it is the lack of peace in my heart knowing that I have stopped being a brother to my fellow Filipinos in Basilan. But the visit opens so many possibilities of caring for our fellow Filipinos there and showing them that we have not left them behind...Read More."